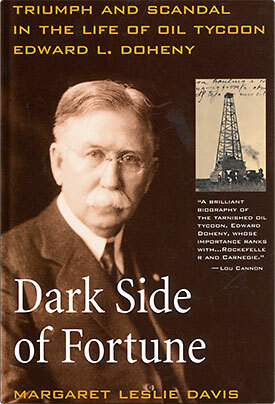 Margaret Leslie Davis's riveting biography follows Edward Doheny from his days as an itinerant prospector in the rugged western territories into the jungles of Mexico, where he built an oil empire that helped inaugurate a new era of petroleum. 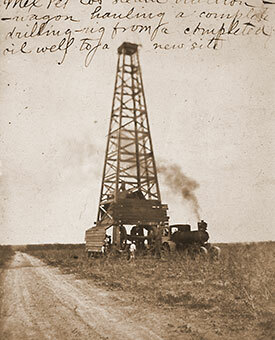 But it was a tale that ended in tragedy when – at the peak of his power and prestige – Doheny became embroiled in the notorious Teapot Dome scandal and was charged with bribing the U.S. Secretary of the Interior. Doheny’s story is one of enigmatic fate — poverty and wealth, renown and disgrace, fortune and tragedy — a tale of the skeleton, la calavera of Mexican lore, ever present at the banquet table, a reminder that fortune has a dark, hidden side. 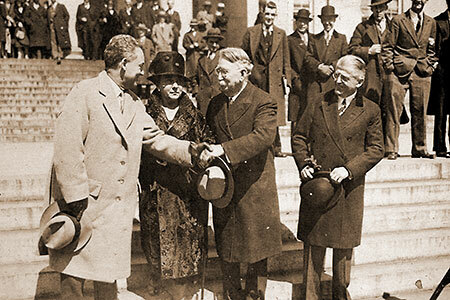 Attorney Frank Hogan with Edward and Estelle Doheny on the courthouse steps following Doheny's triumphant acquittal on bribery charges in 1930. 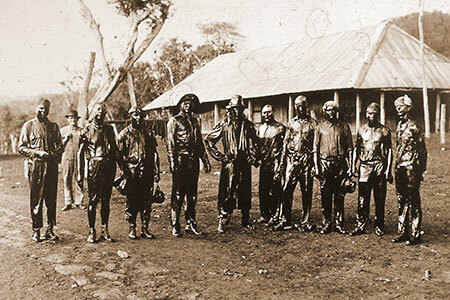 The workers who brought Cerro Azul No. 4 under control. The deluge from the oil saturated the land and everything on it within a two mile radius. 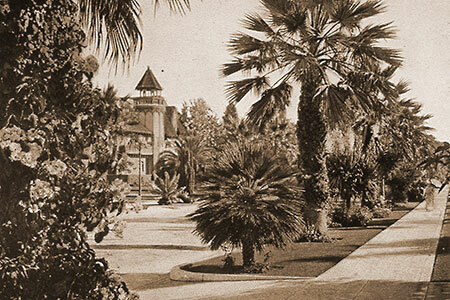 Edward and Estelle Doheny's mansion, 8 Chester Place, Los Angeles, circa 1910. 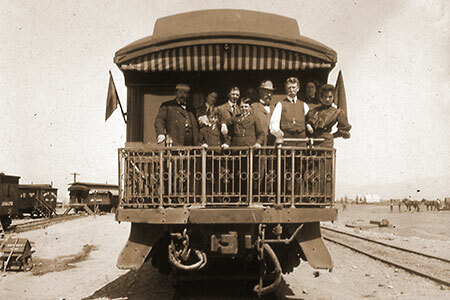 Cerro Azul No. 4 before it was brought under control. 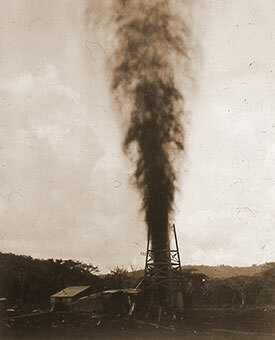 On February 9, 1916, it erupted into a gusher that exceeded the output of all other wells in the Mexican fields. Overnight, Doheny became one of the world’s wealthiest men.